Elemis is the leading luxury British spa and skincare brand. 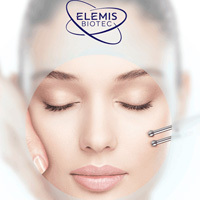 The successful combination of natural active ingredients with cutting-edge technology has enabled Elemis to bring to market some of the most influential anti-ageing products & professional spa-therapies the beauty industry has ever seen. Elemis brings you a premium product combined with the highest quality therapy. The truly incredible Elemis spa-therapy menu has been created to respect the body's complex physiology & work in synergy with the skin, body & mind. Feel & see the difference. Designed to subconsciously stimulate all your senses, you will enter a luxurious blend of exotic cultures, colours & textures from around the world. An Elemis treatment is guaranteed to offer outstanding results. Tackles fine lines and wrinkles with clinically proven* age-defying bene fits of marine charged Padina Pavonica and Red Coral. Targeted massage encourages optimium cellular function for nourished, younger looking skin. Oxygenate and increase cellular renewal around the eyes so they look smoother, firmer and back to their sparkling best! Fruit Active Glow Skin is deeply cleansed & stimulated by specialist massage techniques, whilst powerful conditioning actives nourish & renew vital radiance. Exotic Moisture Dew Following a specialist facial massage, the skin is fed with thirst-quenching actives that will bring back that healthy, dewy look to the skin. Herbal Lavender Repair Deeply cleansing to draw out skin impurities, this facial will help reduce unwanted shine, refine the pores and treat skin breakouts. Treatments are recommended every 3 weeks. BIOTEC combines technology & touch to deliver the next generation of facials in one brand new machine - giving you immediate, visible & long lasting results. The skins’ unique bio-chemistry is constantly compromised by lifestyle, sunlight, stress, age, illness & medication - causing a breakdown in cellular communication & energy, resulting in a weakened skin structure, stressed & unbalanced skin. These unresponsive cells need NEW STIMULI to help re-boot cellular performance & re-establish effective cell communication, enhancing the skin’s ability to repair, renew & re-tone. Elemis found that combining a unique synergy of three targeted stimuli - TOUCH, TECHNOLOGY and HIGH POTENCY ACTIVES it was possible to deliver immediate, visible & long-lasting results from non-invasive facial treatments, with zero downtime. Rediscover the architecture of your face with this ground breaking blend of massage & sculpting galvanic technology. Skin is visibly strengthened for a contoured complexion that is remarkably uplifted. This revolutionary clinically proven* facial addresses skin tone, blemishes & fine lines to transform the texture of the skin. 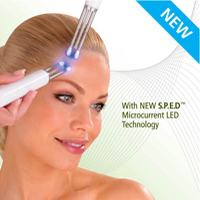 The ultrasonic peel, massage & light therapy deliver a complexion that has never been smoother. This cellular-boosting treatment targets sluggish complexions. The Ultrasonic Peel stimulates the removal of impurities & dead skin cells, whilst the galvanic rejuvenating current restores moisture for instant clearer & visibly brighter skin. A deep cleansing facial that detoxifies & repairs damaged tissue. Ultrasonic vibration, massage, steam & glavanic currents decongest & exfoliate. Powerful anti-oxidants soothe, while light therapy helps clear the complexion. This anti-redness treatment soothes sensitive skin. An oxygen infusion encourages cellular restoration, while red light therapy & calming anti-oxidants improve the skin’s ability to heal itself. The result is calm and soothed skin. This illuminating treatment dynamically tackles the appearance of uneven skin tone, discolouration and age spots. A unique complex of brightening actives, ultrasonic peel & light therapy is combined with precision massage to help wash out melanin & reduce dullness revealing a youthful & translucent complexion. The facial to de-stress, de-age & de-fatigue the male complexion whilst activating ultimate skin dynamism. Ultrasonic peeling, steam & galvanic current deliver a deep clean for a multi-tasking, time efficient solution. The original Caci non-surgical face lift has been updated, to give maximum results. It lifts & tones the facial muscles to remodel your face for a smoother younger looking complexion. The Ultimate experience combines different methods, including Microdermabrasion with LED Photo Therapy, Wrinkle Comb, Lymphatic Massage, Jowl Lifting, & Hydratone Mask. Choose from the various facial options to suit your needs the best. reduces fine lines and wrinkles and lifts hooded eyes. Scoring a perfect 10/10 from the Daily Mail, the CACI Synergy is the newest and most advanced system on the market from CACI International. This revolutionary CACI Synergy treatment offers the newest technology in anti-ageing innovation by combining LED light and micro current therapy for better and faster skin rejuvenating results. The dual action of the LED light therapy & S.P.E.D (Simultaneous Photo Electrical Delivery) micro current technology stimulates tissue regeneration & encourages collagen production. Re-educating and lifting the muscles of the face as well as targeting the main visible signs of ageing. facial toning, leaving a youthful and radiant complexion. Comprising of CACI’s non- surgical facelift and ultrasonic peeling, orbital microdermabrasion, wrinkle comb and nourishing hydromask, this is the ultimate treat for your skin. CACI SYNERGY Classic with S.P.E.D CACI’s breakthrough S.P.E.D technology is used to lift and tone the facial muscles whilst dramatically reducing the appearance of fine lines and wrinkles leaving a more youthful appearance and clear, glowing skin. specifically target muscle laxity around the jawline. for a total firming and toning experience. CACI Lip Plumper This treatment uses the wrinkle comb and LED red light therapy to plump out the top and bottom lip lines leaving lips looking fuller. CACI Hydratone Mask This incredible hydrating mask infuses the skin with powerful ingredients: collagen, hyalauronic acid, vitamins C & E and is delicately fragrant with damask rose. providing a needle free alternative to collagen injections or other dermal fillers. CACI Orbital Microdermabrasion Gently removes the dead layer of skin which significantly reduces skin imperfections such as pigmentation, age spots, wrinkles and impurities. CACI Ultrasonic Skin Peeling Effectively and painlessly tackles harsh facial imperfections such as lines and wrinkles, sun damaged skin, acne scaring and pigmentation. Make-up Going somewhere special and need a great look that will last & enhance your best features...this will fit the bill perfectly. Bridal Time Design & make-up on the day at the studio. At your initial consultation you will be assigned a therapist who will work with you during the trial make-up & on the special day to give you perfect, long lasting make-up that leaves you looking & feeling just wonderful for the whole day..
One Minute Make-Over Enjoy a complimentary Jane Iredale One Minute Makeover after your treatment ... #itonlytakesaminute. Choose from Brows & Eyes, Lips & Cheeks or Colour matching. We will show you how quick and easy it is to look fantastic ... then you can do it too! There are hundreds of reasons to choose permanent make-up. From convenience to confidence, more & more people are turning to permanent make-up because it can dramatically improve their quality of life. Linda of Ambers has been a permanent make-up practitioner for over 17 years. Linda is a highly trained & experienced practitioner. Her artistic eye & technical ability means she is able to use pigment so well that it blends with the skin beautifully & naturally & is no more painful than having your eyebrows tweezed. * A consultation booking fee of £55.00 is taken on booking your consultation, which takes approx 1 hour. This is redeemable against the cost of your deposit on booking. The nurse Di Harris visits regularly for Restalyne & Collagen fillers. A GMC registered aesthetics doctor runs regular clinics at Ambers for Muscle Relaxant Treatments.